A small number of iPhone XS and iPhone XS Max owners are enduring Bluetooth connectivity issues where their iPhones fail to communicate with their car's entertainment system properly, a problem that does not yet have an Apple-supplied solution. Posts on the Apple support forums reveal problems with pairing Bluetooth devices to the latest generation of iPhones. 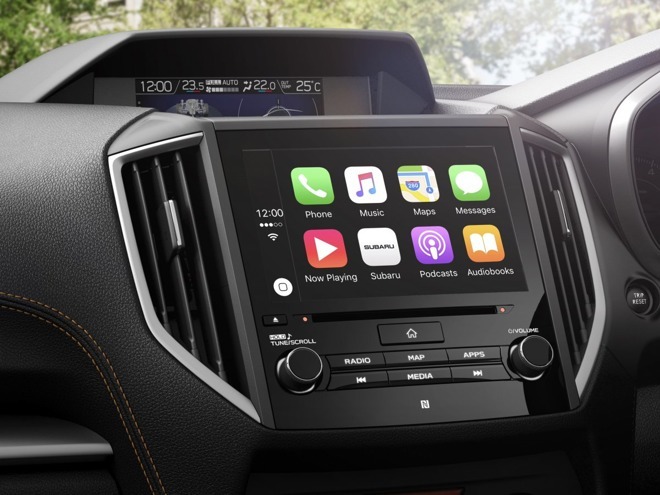 According to the posts, the issues largely relate to connecting their iPhone XS or iPhone XS Max to their vehicle's infotainment unit, but it also apparently affects some other Bluetooth-equipped devices. The majority of cases also appear to indicate only the new models are affected by the issue, with the iPhone X, iPhone 8, and older devices apparently working normally in the situations. It is also not limited to a specific car manufacturer, as vehicles by Kia, Audi, Subaru, and Mercedes all appear in references to the head unit connectivity failures. Steps taken by users to fix the issue include deleting the pairing from the car stereo and the iPhone before re-pairing, but this is seemingly only a short-term solution before the connection fails. One user mentions they contacted Apple Support, who suggested to check the car had the latest firmware update for the unit, but no update was available. Some users believe it is a problem that could be solved via an update to iOS 12, referencing previous similar compatibility issues between iPhones and entertainment systems shortly after new iOS releases. In 2016, some iPhone 7 owners using iOS 10 found they couldn't use their devices with BMW's in-car system over Bluetooth, while an update in iOS 9.2 caused problems with various car audio solutions and assistive technologies that were not present in iOS 9.1. Car stereo system connectivity issues were also discovered in the update to iOS 8, in October 2014. Bluetooth is a catch-all term for a variety of different short range and secure wireless protocols all under one banner. It operates in an unlicensed band of frequencies restricted to "Industrial, Scientific, and Medical" equipment. The standard protocol is governed by the Bluetooth Special Interest Group (SIG), with the vast majority of its membership consisting of companies adopting the technology, with little to no say in how the specification operates. A far smaller contingent of associate members, which consists of heavy users and implementers of the standards from audio, personal device, and automotive fields, actively participate in the specification development process. Another tier, promoters, are some of the biggest firms in the organization, including IBM, Ericsson, Intel, Lenovo, Microsoft, Nokia, and Toshiba, with Apple added to the list in 2015. Promoters have the most say in the future of a protocol, and historically has implemented advances ahead of the rest of the membership. This advanced implementation can cause compatibility issues between devices, especially between those of promoters and the rest of the Bluetooth SIG membership, as changes to the protocols are not implemented by all members simultaneously. According to the list of errata service releases from Bluetooth SIG, there were a total of three releases between the release of the iPhone X and the iPhone XS, including changes relating to EDR Secure Simple Pairing and LE Secure Connections. While both the iPhone X and the iPhone XS are declared to support Bluetooth 5.0 according to Apple's own product pages, it is possible that the iPhone XS' Bluetooth system has been designed with these three errata changes in place. Compatibility is only guaranteed between a peripheral and a host device from errata to errata. So, if an iPhone is working on baseline Bluetooth 5.0 and a car stereo is working on the same specifications, they should work normally. If the stereo is on an earlier errata while the iPhone has accounted for later-released errata, there may be some issues until either the iPhone is updated to work properly with hardware that doesn't take into account newer errata releases, or the car stereo receives an update improving its own implementation. In this case, the use of a different level of errata could account for the iPhone XS failing to work with a specific device, while the iPhone X that doesn't include specific errata updates works fine. While most users will blame Apple for the issues with Bluetooth compatibility, as has occurred with previous Bluetooth-related issues, it is not necessarily the case in all instances. Part of the blame could easily be shared with other device producers. Bluetooth SIG members are expected to stay as up-to-date as possible with the protocol, publishing firmware and software changes that regularly take into account alterations to the standard. 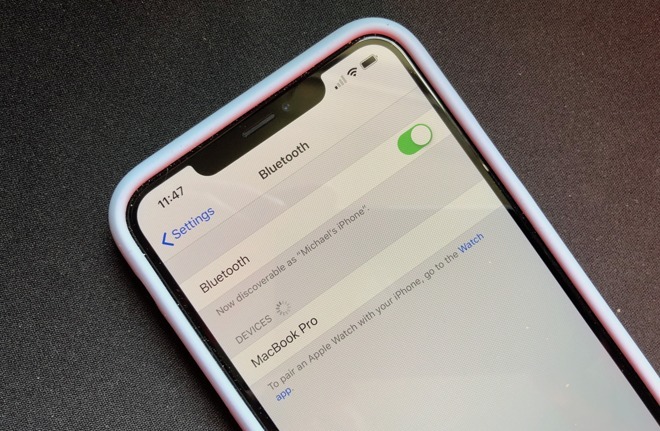 For Apple, as a promoter with vast resources, it is relatively trivial for it to make changes to how Bluetooth works in its devices and including it in a patch or a future product release. In the case of the last widespread issues with iOS 9.2, which included changes to Bluetooth that broke connectivity with vehicle systems, some users found that everything worked fine after unpairing and repairing connected devices. In other cases, users had to wait for a vendor-issued patch for their infotainment unit, while more simply waited for Apple to issue its own fix. Regardless of the root cause of the issue, affected users may wish to check with their vehicle or after-market unit vendor for any updates to their hardware, while waiting for a response to the problem from Apple.